The Wedding Industry Awards- Bride & Grooms Feedback! 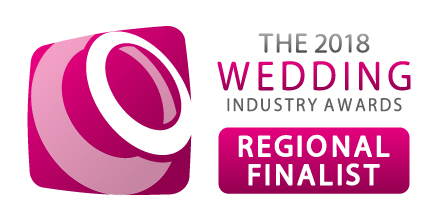 This year I was entered into the Wedding Industry Awards and was delighted to find out, after my 2017 brides had placed their votes, that I had got through to the regional finals! Now the competition is over, I have just received all the voters comments through and WOW, I am absolutely blown away! These kind words brought me to tears- I am so so grateful for all the lovely feedback and just had to share it here on the blog! If you are a bride or groom who are looking into booking me for your day, please read the below as these comments are from real couples, like you, who have hired me and given their experiences about me and what I can offer for your big day. "Absolutely fantastic photographer. She spent hours beforehand making sure she knew exactly what we wanted. On the day her experience was invaluable - I turned to her so many times for advice whilst getting ready! Communication before and after was amazing. We got our photographs through one week after the wedding!! Everyone commented on how incredible the pictures were, and how incognito Courtney was throughout the day - gaining the nickname 'photo ninja'!!!! She has incredible vision, brill"
"Courtney was absolutely outstanding on the lead up to our wedding day and most importantly, on it! Courtney took all my views on board regarding who I would like to have formal photos with, but she is naturally a brilliant photographer because of her style, she is so unobtrusive I hardly knew she was there, and she captured some truly beautiful shots and really has an eye for detail, I was so nervous on the day and so to be able to look back and see things I didn't see on the day was brilliant!" "Courtney did a fantastic job at photographing our wedding. The photos are just amazing and so many people have commented on how lovely the photos are. friends have also booked Courtney as their photographer for their wedding after seeing our pictures. Courtney is such a lovely person, easy to talk to and completely understood what we wanted in our photos." "Courtney went above and beyond on my big day to capture beautiful, natural moments, as well as help out with smooth running of the day (often duties outside her remit), all while fitting in and remaining almost invisible to guests. A true professional, I couldn't have wished for a better photographer." "Courtney was nothing short of fantastic before and during the day. Not only is she a very talented photographer but she is also extremely unobtrusive on the day and made us feel so comfortable that she felt more like a guest. We wanted very relaxed photos and nothing too formal and she listened to us and we have some lovely shots of the day." "Courtney was so friendly and bubbly it immediately put everyone at ease! We had a very intimate day with 25 guests and Courtney did a wonderful job. Her service was so personal it really was such a pleasure to have on our wedding day." "Courtney was friendly, approachable and professional throughout. The services she offered were comprehensive and flexible. Her expertise in terms of creativity and experience allowed her to compliment my very specific vision for our big day. We are delighted with the photographs Courtney produced and we would not hesitate to recommend her." "Courtney was absolutely incredible! Not only through all the planning stages; meeting us for tea to chat through all our options what we did and didn't want on the day, but also on the day itself. I, as the bride, was incredibly nervous and Courtney helped to keep me completely calm she even ran and got my shoes and helped to get me dressed when we got a little tight for time! She was the perfect photographer and captured all of the special moments of the day. We are so thankful to her." "Courtney was great on our day back in February. We wanted a photographer that would get all the formal images done with little fuss and would blend in to the crowd of guests during the day to get the more natural shots - Courtney did this perfectly. Her manner is warm and friendly which really helped us enjoy our day that much better. We love looking back at the images, which really do capture our day perfectly!" "Courtney is such a fabulous photographer! Very friendly and relaxing. She made our wedding day so memorable with all our perfect pictures of such high quality. We are so glad she was recommended to us and very grateful she was able to shoot our day. Money definitely worth spent." "Courtney was an amazing photographer for our wedding. She took into account all the photos that we wanted, she was really lovely to be around. And we are so pleased with the amount and the quality of photos that we received digitally and also in our album. Would definitely recommend Courtney as a wedding photographer." "Courtney is highly professional and really helped to make our wedding day extra special. In all correspondences, meetings and on the day she was friendly, polite and was attentive. Our guests even tried to book her for their day after meeting her and seeing our photos! Couldn’t be happier with the quality of our photos and had them delivered before we arrived back from our honeymoon. Very impressed"
"Courtney was an absolute pro on the day, got every shot we could have ever wanted and more, was adored by all of our guests and created a suite of over 1000 stunning shots all within a week - we couldn’t have been happier! We also had an engagement shoot which really put us at ease, we were worried that we’d be a bit awkward but she totally relaxed us! We’ll use these photos for years to come. " "Courtney was very warm and friendly on our wedding day. She did a good balance of allowing us to take photos that we had envisioned and then adding her own creative flair. She was patient in waiting for group shots to come together. In all, her shots captured moments that really tell a good story of how our day proceeded. I would definitely recommend!" "I wanted a female photographer. My husband was unsure, but once he had seen examples of Courtney's work he too was convinced that she was the right photographer for us. She blended perfectly into our day and was a pleasure to have around. The quality of the photos she produces speaks for itself." "Courtney is incredible! She is so nice and bubbly that I instantly warmed to her as soon as we met. She was amazing on the wedding day, just blended in and all the guests commented on great she was. Most importantly she takes the best photos, so relaxed and natural. They also arrived a week after the wedding-amazing! I absolutely love all of them and so so glad we chose Courtney to photograph our wedding!" "Courtney was fantastic, she understood exactly what we wanted, she was so bubbly & friendly we felt completely at ease with her right away. Her knowledge of the venue was great and knew where to get the best photos. It rained on our day and we had about 20 mins for official photos before it rained, and Courtney managed to get all the friends and family photos we wanted in 20 mins! And the best part Courtney sent me 4 edited photos on the that night, so we woke two a preview of the photos!!" "Courtney was absolutely amazing! So friendly and approachable right from our first meeting. She put us at ease and we had such a giggle. The quality of our photos is amazing. Courtney is like a photography ninja, she captured perfect, quality moments that would have been missed by us otherwise. Her candid style is perfect! We received our photos so promptly in a beautiful box and usb stick. Our wedding was featured on a blog after Courtney shared it on social media, which was great!" "We fell in love with Courtney and her work at a wedding fair and then even more so when we met with her! Her work is stunning and so is she, as a person and as a photographer! I knew I would enjoy spending the whole day with her!" "Courtney was fabulous from start to finish, very professional and really listened to what we wanted from the day and brought her own amazing vision and experience. I really can not thank her enough for how amazingly beautiful our wedding photos were, everyone has commented on how wonderful they are and how amazing she was on the day. Each photo tells the story of our day perfectly." "Courtney is absolutely fantastic, not just her photography skills but her professional and approachable manner is brilliant. She really listened to what we wanted from our day, and made sure she delivered exactly that. She was great during the planning process and we were thrilled to receive our full wedding photos just 3 weeks after our big day. Courtney is a true professional, and the best at what she does!! A very deserved winner in our eyes!" "Courtney is a very pleasant and happy person. She is very welcoming and extremely Easy to communicate with. Her presence at our wedding was very professional and communicative." "Courtney was incredible. She blended in to the background of the day but captured the most beautiful story of our day! So many moments we missed we all there in photograph form and so stunningly taken. Both myself and husband hate having our photographs taken but yet we felt at ease and we loved loved loved our pictures!!" "Courtney did amazingly well given our complex needs given our son is autistic and refuses to pose for photos. We not only have our precious wedding photos but precious photos of our son which we rarely get!! " "Courtney was amazing! Felt so happy that we chose her to capture our special day perfectly!" "I could not recommend Courtney any more highly, she was so professional yet so subtle with it! Courtney listened exactly to what we wanted in our pictures and managed to capture the day perfectly, with every last detail being included! The day after the wedding when we woke up, Courtney had messaged me a handful of pictures from the day which was such a lovely surprise! She was also very prompt getting the whole collection back to us! " "Courtney was fabulous and did so much more on the day than just photograph the wedding. She even helped me put on my shoes, comforted me when I cried and generally made everyone feel at ease. I was blown away by her. " "Courtney was absolutely fantastic from start to finish. She went out of her way during the lead up to our wedding to offer us help, support and advice. On the day, she made both myself and the groom so relaxed and blended into the background. We had no idea the quality of the shots she had taken. It was amazing to be able to come home to our honeymoon to a usb full of breathtaking photographs to relive our special day. Courtney is incredibly talented and we couldn’t have wished for anything more"
"She was very friendly, we have some lovely photos that we will cherish for a lifetime"
"Courtney was unbelievably professional and put us straight at ease. She captured the day exactly to our taste and requirements, all our photographs were beautiful and the moments captured so special. We would also like to say a huge thank you to Courtney for traveling across Leicestershire, to the middle of no where (not even on Google Maps) to do a pre-wedding photo shoot, despite getting lost, thanks to my awful directions, she arrived enthusiastic and ready to go!! Incredible customer service"
"Courtney was brilliant and super professional! I would recommend her 10 times over. Thanks Courtney!" "We really couldn’t recommend Courtney enough! From the moment we met her we instantly felt comfortable and knew from her knowledge of our venue that she would be able to take fantastic photos on the day! Courtney was very smiley and professional throughout the day and we absolutely love the photos of us especially how romantic and natural they looked. Our wedding album was absolutely stunning! She really captured all aspects of our special day and we are so glad that we chose her." "Super pleased with all of Courtney's communication and photos - so many were truly better than expected. Our son was nearly 9M at our wedding, and she got some fabulous Ines of him with both us getting ready, and also my MOH during the reception. The delivery of our USB also came super cute & special! Thank you x"
"Amazingly friendly, we really enjoyed having Courtney with us on the day. Many guests commented on how well she fit within the party and how approachable she was at all times. I wouldn’t hesitate to recommend Courtney to others. She was also incredibly speedy! We had a sneak peak within a day and all of the photos by link within a week! Amazingly quick which really helped us stay in the wedding bubble"
"Our snaps were not only important to us as the couple, but to our relatives – who were able to relive our special day with extended family and friends who couldn’t make it. Courtney was more wedding guest than photographer, sitting with my bridesmaids, even letting them borrow her camera to take a few snaps! She was also the only reason I made it to the church on time – encouraging me to get into my wedding dress so she could get the photographs she needed (and we wanted!)" "Courtney was lovely to deal with and took time to meet me and go through the things I wanted on the day"
"From start to finish Courtney was amazing!! I couldn’t have wished for anything more! Any email I sent was answered very quickly and any worries or concerns I had were reassured! She has already sent me a few preview photos and the are beautiful! Courtney is so much more than just a photographer as she was helpful, friendly and reassuring! I can’t rate her high enough!!" "Absolutely glowing recommendation from a number of friends"
"I knew about Courtney through my venue, and looked at her website, after that - I didn't look at anyone else. I could tell that she was exactly the type of photographer I would like due to her unobtrusive style and after looking at some of the weddings she had already done - I was sold! Also, I really love the fact that she offered one package that included all the photos so we didn't have to worry about picking our favourites like friends of ours had to do recently!" "- Good price - lovely lady - very easy to talk to and had good Communication with her via email and face to face meetings pre and post wedding - our USB of photos arrived so within less than a week!! And we're beautifully presented - would most definitely recommend this company to others & urge them to choose Courtney to capture their special day!" "I'd been personally recommended her services by several friends and when I saw her website and social media channels, I knew she was the one. A skilled eye for light, composition and movement, and a lover of natural photography and capturing magical moments without being staged or posed, sealed the deal for me." "I needed a good photographer for one of the most important days of my life. Big decisions!" "We fell in love with her photos, plus she had shot at the venue several times. I lived too far to meet in person but she was very nice to talk to and put me at ease." "Courtney was a preferred supplier to the venue. She knew the venue thoroughly including the staff etc. We chose Courtney after meeting her at a wedding fair at the venue where we warmed to her and we're pleased with the work she was able to showcase." "Purely from Courtney's website and her photos - she came across on her website as relaxed and calm and more importantly focused on the little details as well as very natural photos of us and the guests having a great time, rather than lots of staged photos, which was exactly want we wanted. Also the fact that she has 2 border terriers completely sold her to me!!" "We initially met with Courtney in a cafe in Stroud to discuss our day. After speaking and seeing the portfolio we both, almost instantly, were in agreement that we'd love for her to be our photographer." "We were struggling to find a photographer whose photographs we liked and that we could afford and we loved Courtney's photos and she offered us a reasonable price, so she was the perfect choice for us." "After seeing her photos on her website, she demonstrated the right amount of posed and casual photos, capturing emotion and key elements of the day." "We met a few suppliers before deciding and Courtney stood out as the person we would most liked to have had at our wedding as a guest for the day, which was really important to us." "We felt she was reasonably priced and we liked her past work displayed in her portfolio. She was also quite friendly when we first discussed the wedding with her on the phone and it was very easy to contact her." "Courtney is a complete professional. Polite and a nice person to work with she melded into our day unobtrusively. Without us realising she seemed to be everywhere and effortlessly seemed to captured the essence of our day. We have a beautiful collection of photos of all of the people we love which we will treasure forever." "Because as soon as I met Courtney she was warm and kind. Her photos were the exact style that we wanted and she didn't disappoint." "Courtney's website looked beautiful and very professional. When we looked at her photos we loved the quality and her style. we set up a call with her and 3 others we found. We spoke to Courtney first and after speaking with her for 15 mins we cancelled the calls with everyone else and knew we had the right person. She was so lovely and friendly and just listened to what we wanted. We felt comfortable straight away and I knew she would fit in so well with our friends and family as well as fitting in with us - I'm so happy we chose Courtney and a couple of our friends have asked for her details for them to book her." "Because our first meeting with Courtney showed us how professional and friendly she was. Her style of photography was exactly what we wanted." "Courtney's work wowed us from start to finish! We felt so at ease that she understood what we wanted and that she would be able to deliver this which she did! We loved the style of her photos, very natural and romantic, and captured everything we would want." "We booked her for our wedding day and will be booking a family shoot with her after Christmas"
"Courtney photographed my sisters wedding four years ago, and I just remember on the morning of the wedding she was like a fourth bridesmaid! Helping as much as she can, and keeping everyone calm with her knowledge of how the day runs. My sisters photos were incredible and we knew as soon as we saw them we wanted Courtney to photograph our wedding. She was the first supplier we booked after getting engaged!!" "Her previous work and albums showed us her ability to capture our wedding day with relaxing and memorable photos"
"Recommended and we looked through examples and were so impressed"
"I fell in love with Courtney's pictures on her website, and then booked her for our special day." "Courtney was the style which me and my husband were looking for, ‘laid back but professional’"
"Photographs looked excellent and natural"
"We were recommended Courtney from a close family friend who were again blown away with the stunning photographs Courtney captured on their wedding day. Once we had seen their photographs, we knew we had to have Courtney to photograph our special day. We wouldn’t have trusted anyone else and she didn’t let us down, but exceeded our expectations." "We felt she was the best out of every one we looked at, we liked her work, her website and her personality"
"Recommendation from a friend who had been at a wedding Courtney photographed." "On recommendation from our venue. I also met her at a wedding fayre and she was so professional and lovely I knew I wanted someone exactly like her to capture our special day!" "Courtney was recommended by our wedding venue"
"Recommendation and knowledge of our venue"
"As the lasting memory of our wedding day, we wanted a professional who would capture stunning photographs, and tackle all the challenges we threw her way including a candlelit church, brass band, motorbike & sidecar for transport, a soft play centre, a ceilidh and the autumnal weather. Amid all the chaos and laughter, Courtney really delivered a beautiful album which we will treasure for the rest of our lives. A true professional." "Because I liked her website and when I spoke to her on the phone she came across very nice"
"The obvious and main reason why I booked Courtney was because of her portfolio...I loved it! Not only that but her website was well put together and organised which reassured me."